Hope everyone is well and having a good week. We had a good weekend, it was my birthday on Saturday and we had a lovely family meal with the 14 of us at the Italian Restaurant in our village. On Monday I had a cataract removal operation and so am not seeing too well yet but hopefully should soon get better. with a prize of a voucher to spend in store. A belated happy birthday Pat, glad you had a lovely celebration. Wishing you a speedy recovery from the Cataract op too! Nearly forgot to mention the card...it's beautiful, lovely image, the colours and the lace are so pretty. 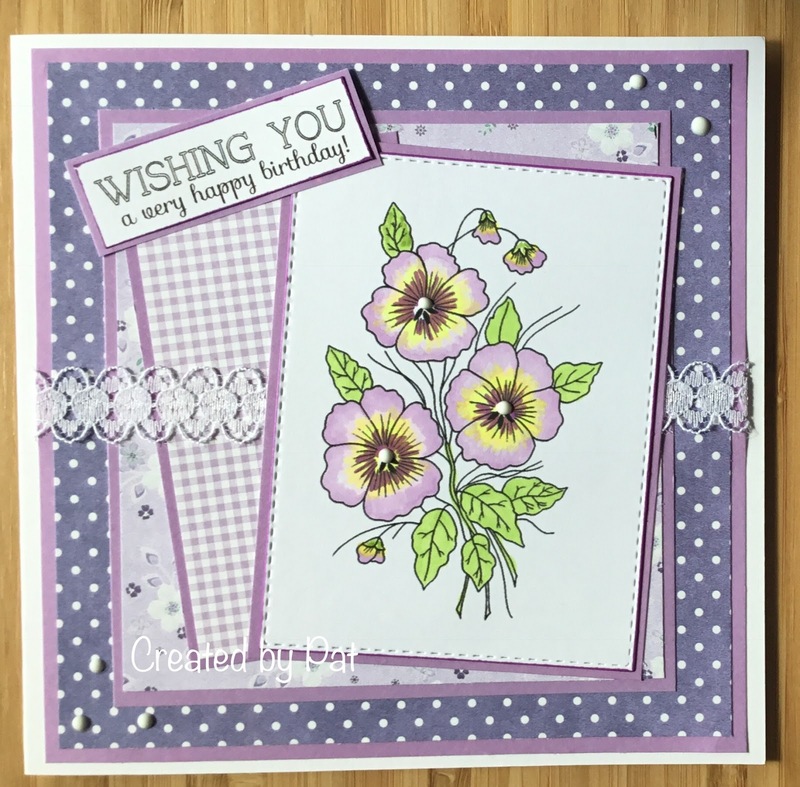 A beautiful card Pat, such a pretty image and lovely colours. This is so pretty - the image is gorgeous and I love all the different shades of purple. Happy Belated Birthday, Pat, and I hope you soon feel the benefit of your eye operation.